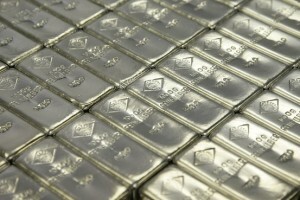 Be it price, weight or look at feel, sterling silver has rightfully earned a prominent position in the jewelry space. Before we move forward discussing the many reasons why jewellers use sterling silver, we should probably touch on the important facts about sterling silver. What is sterling silver? How is sterling silver made? When was it first used? Ultimately, sterling silver and jewelry, the marriage of an allow and art. The history books tell us that the sterling alloy originated from somewhere in continental Europe as early as the 12th century. In fact commerce such as it was back then, involved the use of sterling silver. As early as the mid 1100’s, the composition of sterling silver in England was often subject to metallurgical testing or assaying. The purity of sterling silver and its metallurgical science was regulated and monitored just like it is today. For the chemists, sterling silver is an alloy of silver. Using silvers mass as the measuring tool, 92.5% of silvers mass is actually silver, and the remaining mass is made up of other metals, traditionally it’s copper. If sterling silver purity is higher, meaning more than the %92.5 of it’s mass is silver, then the metal is too soft to be useable. Hence, the alloying process is the standard. By adding the copper or other metals such as zinc or even platinum, it gives the silver some strength while preserving the ductility and beauty of this precious metal. In the early colonial days in America, sterling silver was used for currency and other general goods as well. Products ranging from ornate tea or coffee pots, coins and even jewelry. At the time, it was quite difficult to test the purity of the alloy. Cutting and cheating on the alloy purity, some silversmith charlatans lined there coffers with more than just silver, and much money was made. Silversmiths used many of the techniques developed by those in Europe. Casting was frequently the first step in manufacturing silver pieces, as silversmiths would melt down sterling silver into easily manageable ingots. They would forge the ingots into whatever shapes in any size they desired, often hammering the thinned silver against specially shaped dies if they wanted to “mass produce” something. This type of process occurred at room temperature, and the term “cold-working” was coined. (Pun intended). Repeated strikes of the hammer or work hardening of the sterling silver, could cause it to become brittle and difficult to manipulate. The silversmiths would have to anneal their pieces to overcome this hardening. Meaning they would heat it to a dull red and then quench it in water which relieves the stresses in the material making it easier to work with, or makes the sterling silver more ductile. Silversmiths seam silver parts together and create remarkably complex artistic items. They would seal gaps together with a solder made out of 80 wt% silver and 20 wt% bronze. The sterling silver piece would then be filed and polished to have all the seams smooth. If the work came from a classy joint, they would engrave the maker’s mark. Sterling silver is an ideal metal for an assortment of reasons. First being that it is relatively easy to work with. Second being that sterling silver is not particularly reactive. In chemistry speak, it means it does not react with oxygen or water at ordinary temperatures and therefore it won’t rust. Silver does however not like good old fashioned table salt, or sodium chloride. Salt will corrode sterling silver, along with many other metals and alloys. Sterling silver is also very inexpensive compared to gold and platinum which often extends into the designers being willing to take more risk with design ideas. Sterling silver is also visually a very attractive, white, clean and pure metal that does not compete when mixed with coloured gems. 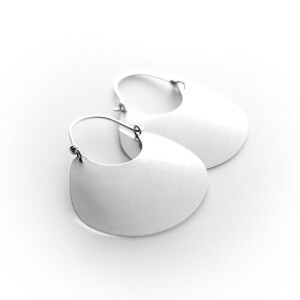 For those with sensitive skin, silver is relatively hypoallergenic. Meaning that silver is a safe metal to wear for those with easily irritated skin or with metal allergies. Sterling silver is the best and is in fact more pure than most golds on the market. I should throw in a caveat that some less pure forms of silver can cause mild irritation or even leave green marks on a person’s skin, but this is rare and only found with cheap silver jewelry, never in sterling silver that is 92.5% pure. Jewellers for many years have used sterling silver as there medium for all of these reasons. Some very fine Canadian jewelry designers such as Karen McClintock and Hilary Druxman use sterling silver in their product lines. 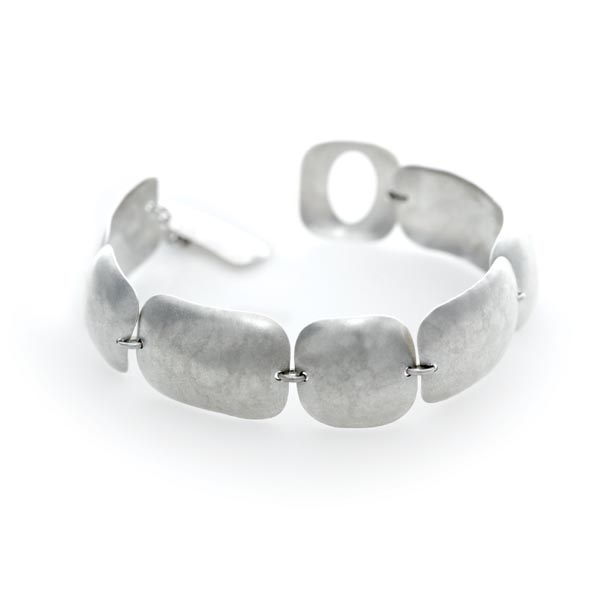 International jewellers such as Mimi & Marge or Boma jewelry do some fabulous work with sterling silver. 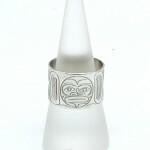 Their sterling silver jewelry is not only jewelry, but pieces of art.